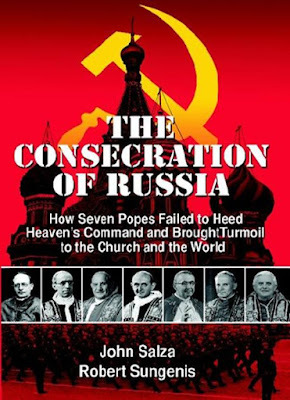 Consecration of Russia: Now Available for Purchase! This looks like a most wonderful site. I hope it has or will be properly consecrated so that it may be most abundantly blessed with God's good graces. As regards the long awaited, but rather anti-climatic, and even to some extent anti-Fatima, document issued by Secretary of State Cardinal Sodano on 2-26-2000, it is amazing to note how this same modernist Cardinal was apparently all too happy to honor the sinister mass murderer Mikhail Gorbachev the very next day at a Vatican press conference. The conference, easily seen to be a real slap in the face to the devout followers of Fatima, was for the purpose of celebrating "Ostpolitik," the Vatican’s policy of refusing to condemn communist repression of Catholics. Is anyone else having trouble using the Paypal button to purchase the book ? I hope you were able to purchase the book. I plan on ordering the book out of curiosity. It just is disturbing to note that when this subject of the consecration is addressed Father Robert J. fox's name is ran through the mud. I was very close to Father Fox and he was a devout priest and loved Our Lady very much. He took 150 youth to Fatima every year for 25 years wrote lose to 70 books on various subjects. Father Grunner believes in his position and Father Fox believed in his they both believe because of information they received. They both have good sources. 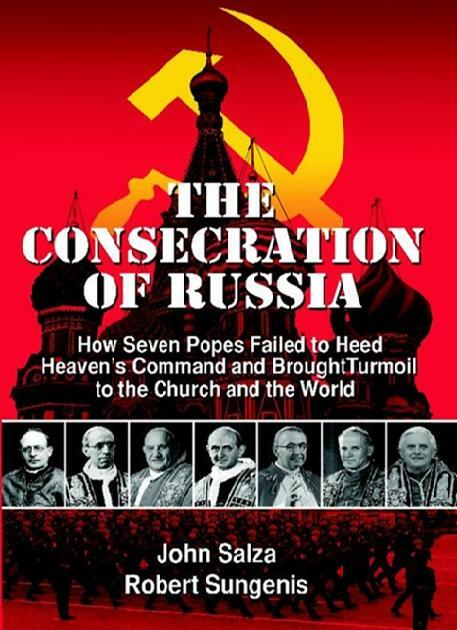 I believe the consecration was completed in 1984 by John Paul II but I am going to read the book. Instead of living the controversy we must live the message of Our Lady. This is the key to peace.